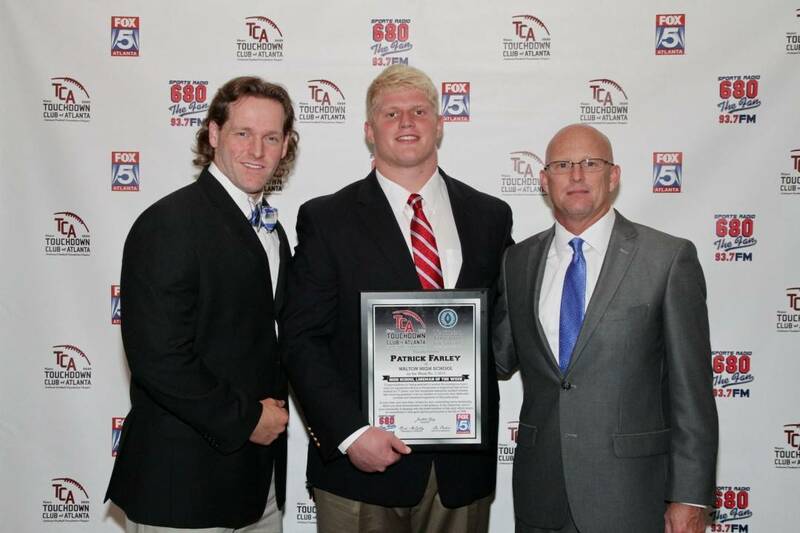 Patrick Farley, OT Walton. 6’2” 280 lbs. Walton battled Lassiter for in the locally known “East Cobb Super Bowl” and walked away with a 34-20 victory in Raider Valley. Walton is averaging 500 yards of offense through the first three games. Watching film of the Raider offensive line and OG Patrick Farley it is clear they play hard and with an edge allowing holes to open and passing lanes to be clear for explosive plays and big numbers. Congratulations Patrick for being selected our Lineman of the Week.